About 3:00 am on the morning of October 25, 1954, Carmelo Papotto was inspecting the grounds of his Italian agricultural company based in Tripoli, Libya, when he saw, descending from the sky, a strange, silent artifact. 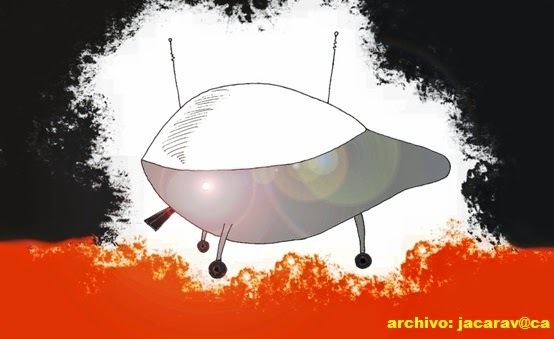 It was an egg-shaped object, about 5 meters long and 3 meters high, the lower part seemed to be made of metal, like aluminum, and the top made of a transparent material.The back, according to the witness, "had the aerodynamic shape of a car, with a tail probably functioning as a rudder." The "crystal" dome was strongly illuminated by a white light radiating about 4 meters. The UFO had two lights on the sides and what appeared antennae, one in front and one in back. Also it had two conical tubes, which the witness said looked like guns in their front. Initially the Italian engineer thought it might be a U.S. military helicopter in trouble or even a secret prototype. According to Carmelo Papotto the object deployed its landing gear that sounded similar to a compressor which is used to inflate tires. The legs of the artifact consisted of six wheels. When the UFO landed in a plowed field, about 10 meters from the witness, Mr. Papotto saw a ladder in the center. He could see inside that the artifact contained six humanoids moving around slowly. The witness thought they were U.S. military. 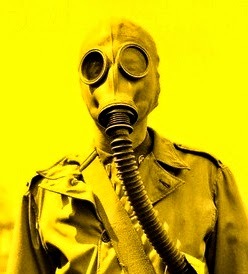 They wore yellow clothes and had on gas masks. One of the crew took off his mask for a moment and his face was completely normal, human. When the witness put his hand on the ladder to climb, he received a strong electric shock. One of the beings told him not to advance. The crew seemed to be occupied inside the appliance. Mr. Papotto says that within the device there were some chairs, tables and a radio apparatus operated by a humanoid wearing "headphones" from which emerged multiple cables. Moments later one of the beings touched a button and a mechanical device in the form of a bell-cap fell near one of the wheels and proceeded to replace it with another. After about 20 minutes, the UFO rose up about 50 meters and, without a sound, disappeared at high speed towards the east. Researchers later found rectangular marks on the ground about 10 centimeters wide and very similar to normal tires.The marks of the objects wheels were arranged in pairs of two and separated by about 10 centimeters. They also found a blue substance that was sent to be analyzed, but the results were never released. According to the researchers, Carmelo Papotto had prior knowledge of the UFO phenomenon, but didn’t fear of the artifact, because he thought it could be a human aircraft. 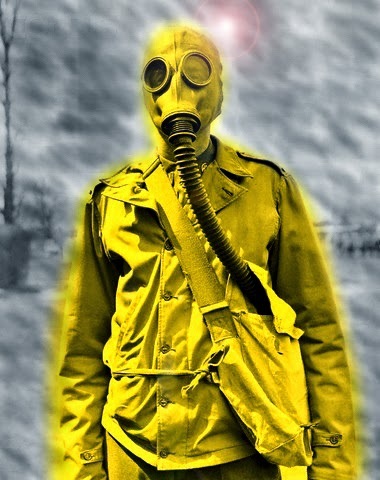 In this case, it is evident that witness attributed some human concepts to the alleged artifact, in the form of helicopter/car, wheels, gas mask and radioman. It is likely that the external agent connected to the psyche of the witness to provide information about concepts and machinery that would be easily recognizable by the witness. So Mr. Papotto, thought at first that it is an American aircraft in trouble. This event has similarities with the William Laxton (1966) event which also is decoded under the parameters of the Theory of Distortion.